It's quick and easy to send coding tests to more than one candidate at a time with CodeSignal Recruiter. 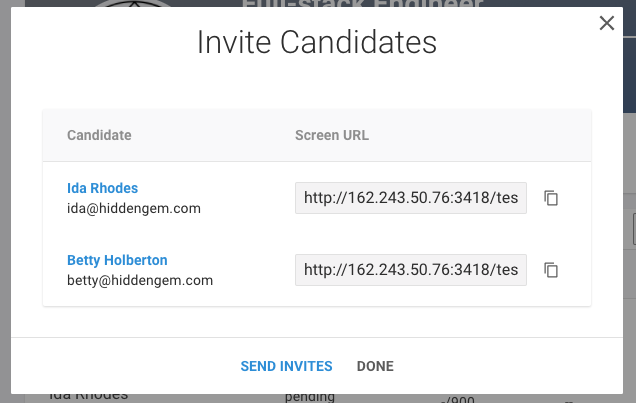 When you click the Invite Candidate button, the modal gives you the option to Add More Candidates. Click on this button to add as many candidates as you want. For each section, fill out the candidate's email and name, the time period before the test expires, and the role that you are screening the candidate for. 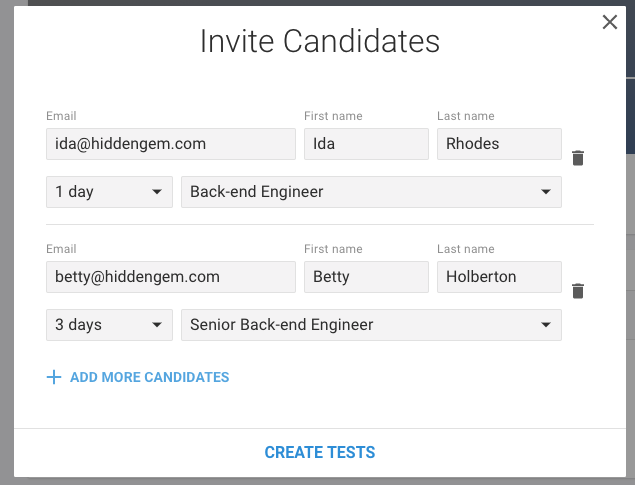 When you're done adding candidates, click Create Tests to generate the test links and, if desired, to send an email to each candidate.